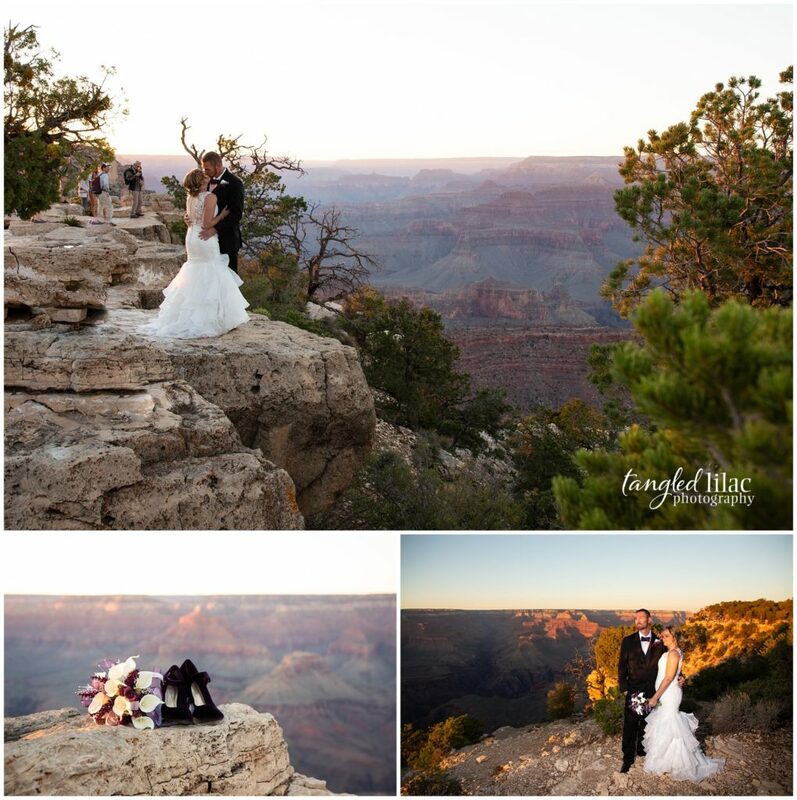 Clifton and Jennifer chose a gorgeous day at the Grand Canyon for their intimate elopement. 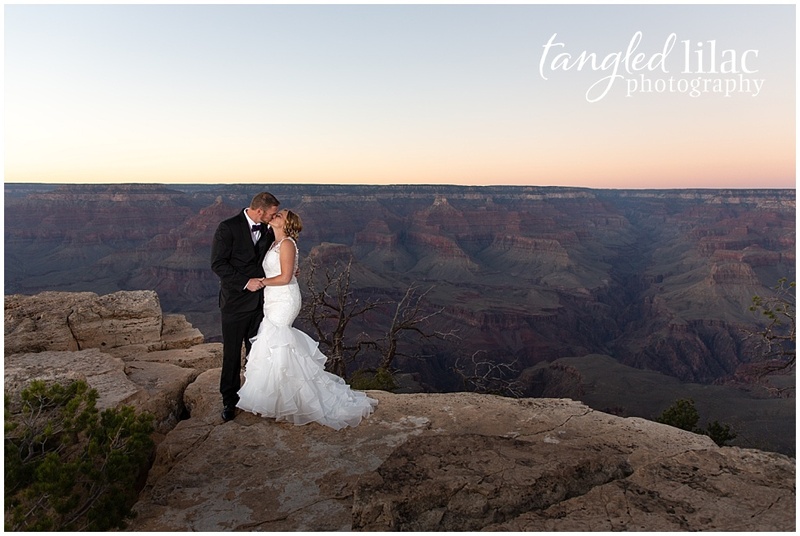 Surrounded by their closes friends, and as the sun dipped below the horizon at Grandeur Point, the officiant, Phil, and I were able to witness the start of their life together. 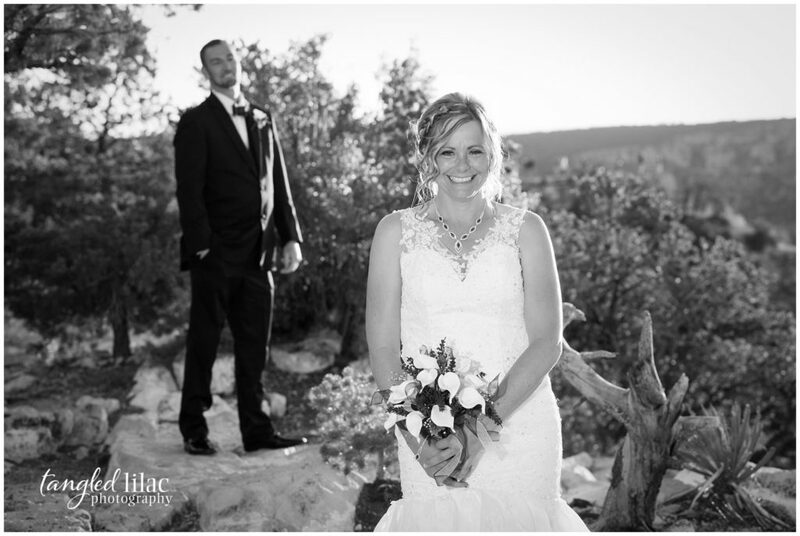 A nervous Jennifer giggled through their vows and even though he didn’t want to admit it, Clifton wiped away more than a few tears as his beautiful bride walked towards him. 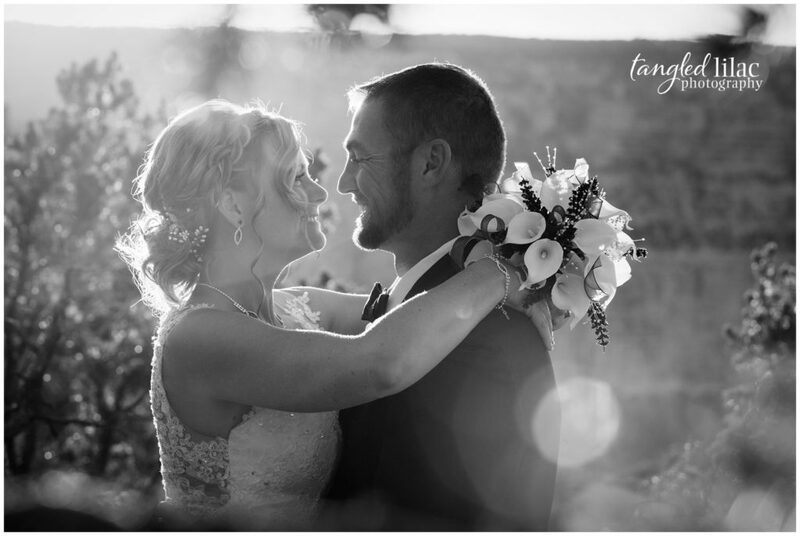 The moments right before the wedding are some of my favorites with elopements. 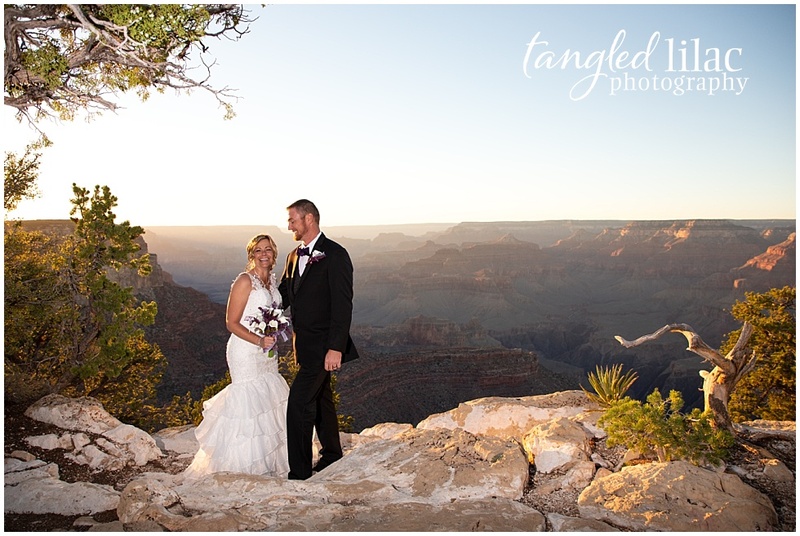 I get to hear about their story, how they met and why they chose the Grand Canyon. 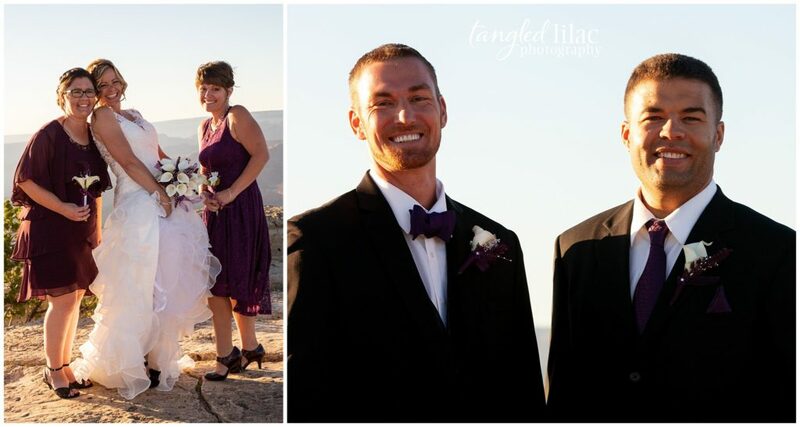 Most of the time, as was the case for Clifton and Jennifer, it was the beauty and peace that drew them there. 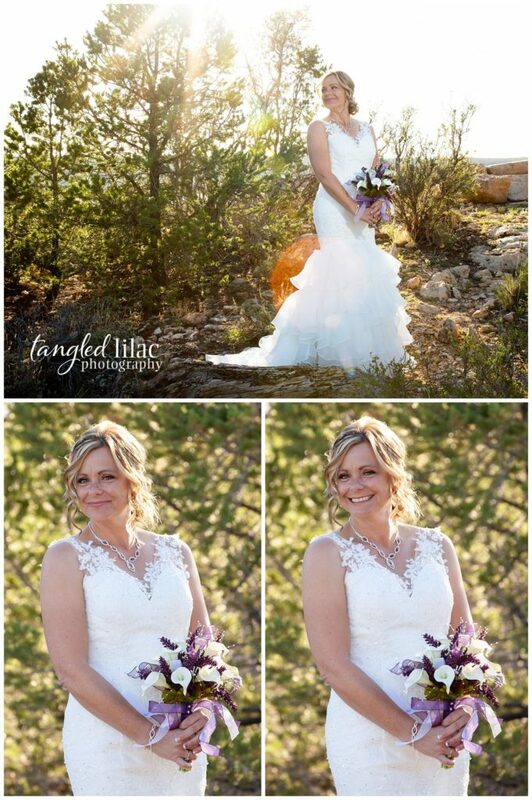 And I would have to agree, I don’t think there is a more beautiful place to be married on earth. After their ceremony I heard about their hopes and dreams, challenges and obstacles in getting to this day. I found out how kind they both were as Clifford told me about going to Puerto Rico after the hurricane to help restore power to the island. As he spoke of befriending many of the native islanders and helping them get back to normal, I knew why Jennifer adored this man so much. I say it every time, but I mean it every time with my whole heart. 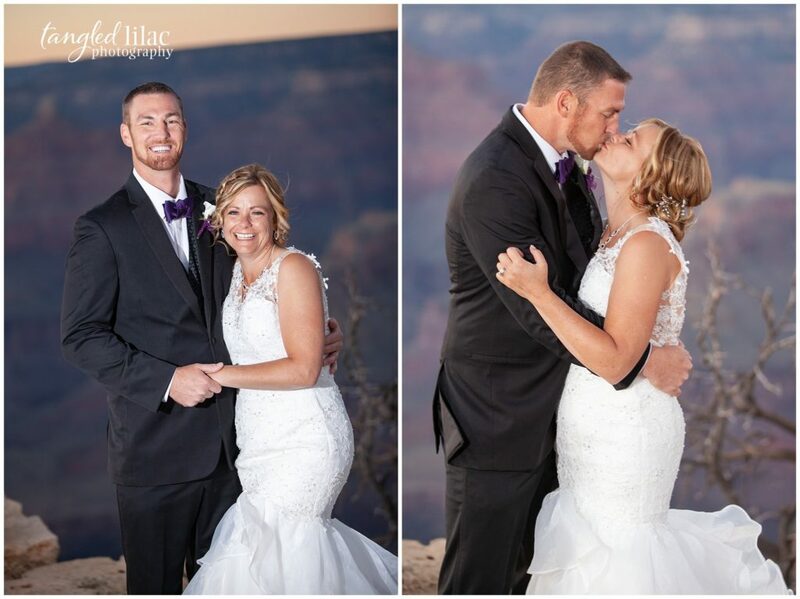 It was such an honor to have been there for you both and I wish you a lifetime of love, adventure and happiness. 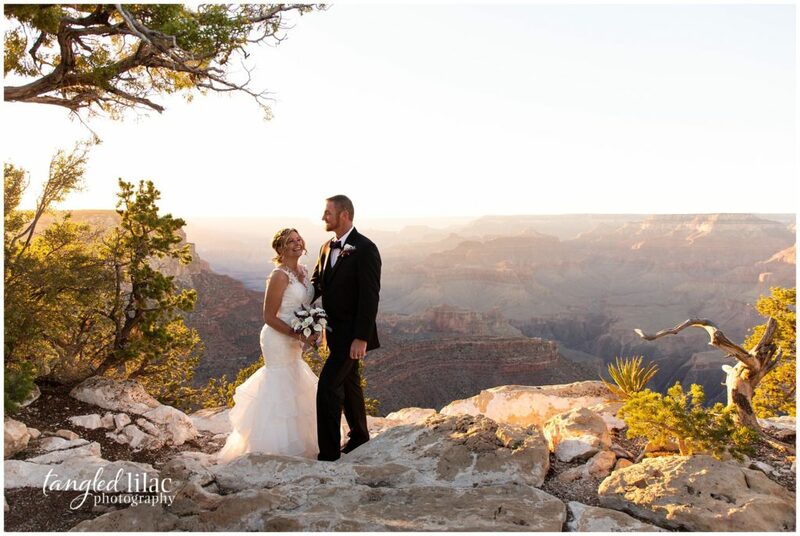 Getting married at the Grand Canyon is beautiful, but also presents some challenges. 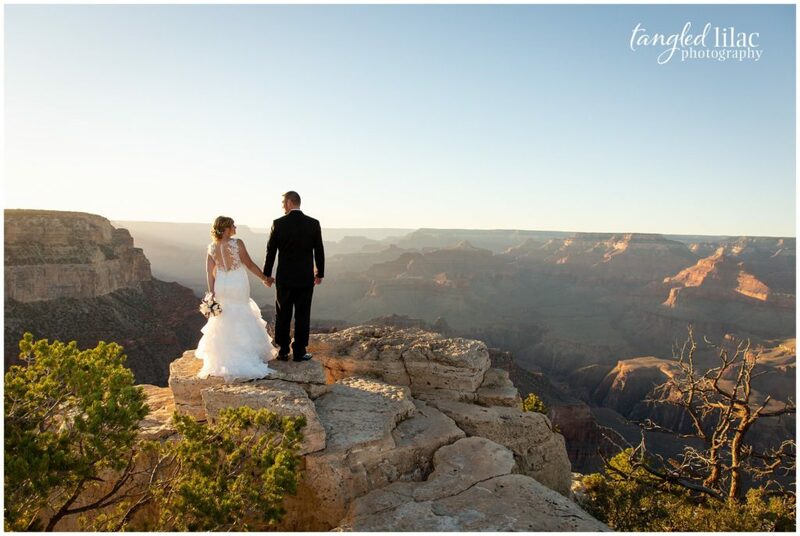 The permitting process isn’t very transparent and for visitors who have never been to this National Park, simply picking out a location for the ceremony can be daunting. 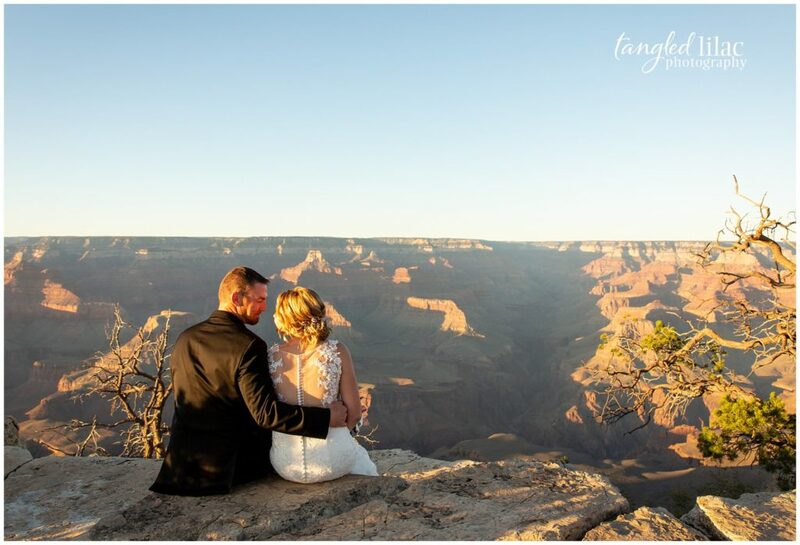 If you’re considering an elopement at the Grand Canyon, check out my blog post on locations and the necessary permits and marriage license requirements. 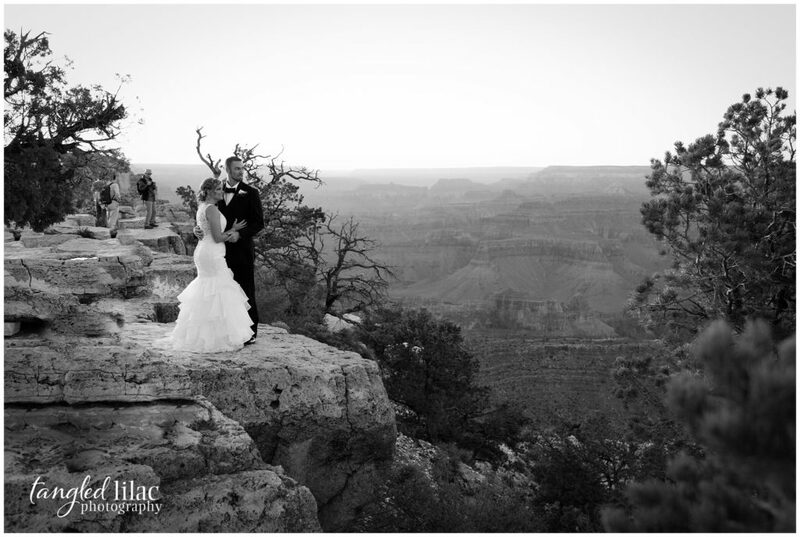 Grand Canyon National Park is situated in Northern Arizona. The nearest cities are Flagstaff and Williams. 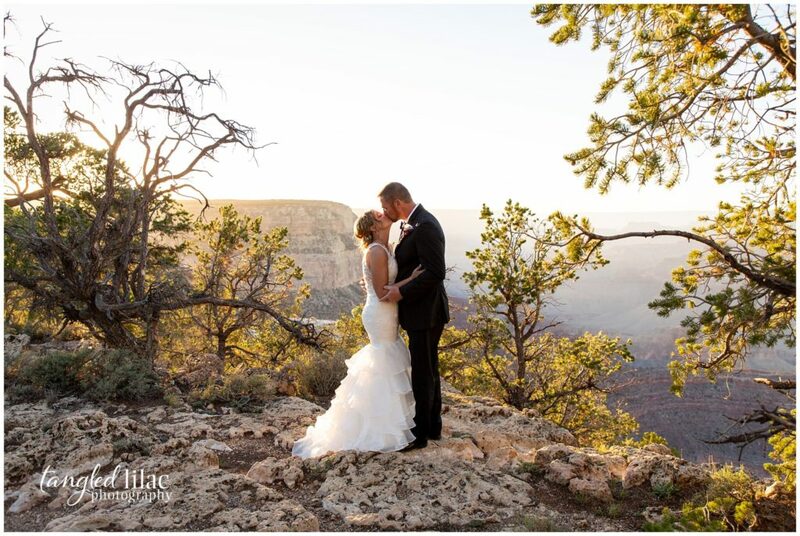 To get married in the park, you’ll need the necessary permits and a valid Arizona marriage license.